Recently there is a resurgence of vintage retro styles which I find quite refreshing and very ladylike. This gal actually started to look into Savvy Mom's closet for vintage finds. 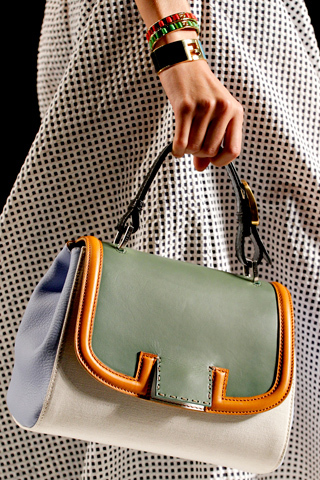 As many know already, I am a bag lady so of course I am right on top of the latest find from Fendi. It is called the Silvana which has many celebrity followings such as Sarah Jessica Parker. There are many combinations, but I find myself attracted to crocodile, and leather combo. There is something just so luxurious with exotic leather. Also I love the contrast of colors and materials. Gosh, I hate to ask the price. Regular version Silvana will run about $1700 plus tax. Sarah Jessica Parker was seen using this lovely! A gal can pair this bag with a feminine ladylike outfit or something casual chic. For me, I would probably use this bag with a long top with skinny jeans with casual sandals. I saw a red one from another site which I thought was totally savvy. That would totally be my cup of tea. On the side note, I love wedges, but would this pair be comfortable? Unless it is made of cork, I can just imagine the weight of the shoes can slow a gal down. What do you think of the Silvana and this style of wedge? 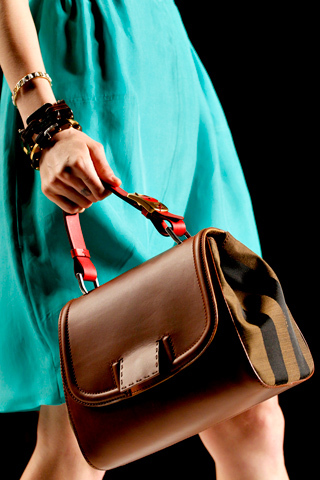 i like this bags with the long handle, as a sling bag :) ooo no wedges for me, i dont know how to balance that! 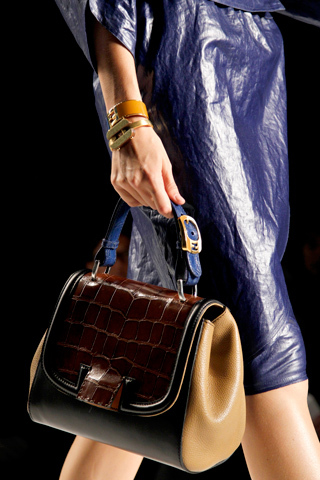 I like the bag, but I wouldn't choose it over some of the other handbags in the Fendi line. However, I do love th croc/leather combo too! The Silvana bag is gorgeous! I´d readily buy it if I have the budget for it. ;) As for the wedges, I wouldn´t mind if it´s chunky as long as it´s light too. I want everything on this post. great blog as well. I like crocodile and leather combo as well. Other wise, I still like Peek-a-Boo more. i like this bag so chic!!! 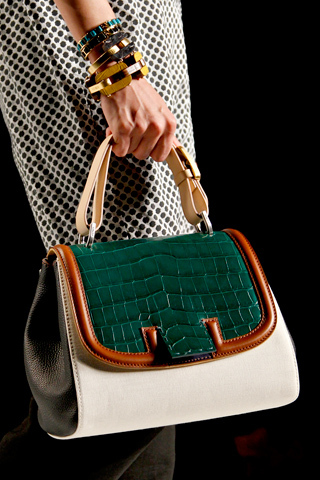 Love this bag's structured classic silhouette. Love the bags! But I think those wedges looks very uncomfortable!! !